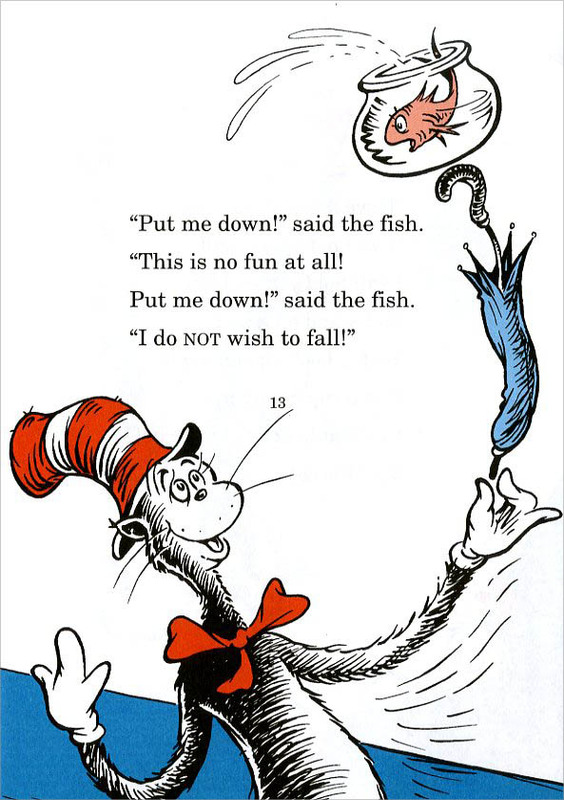 The Cat in the Hat contains 1,626 words (source). Reportedly, Theodor Geisel thought he could write it in a couple weeks. It ended up taking him “a year and a half” (source). Just a note to readers of verse: inflect the words like a normal person. Just because something is written in meter doesn’t mean you should read it like you are sitting on a galloping horse. Ignore the rhyming words and line breaks and read it like a narrator during the narration, and an actor during dialogue. Actors and actresses interpret dialogue differently, so each reader should read aloud differently. If you find yourself reading like the first two examples, break the habit, give yourself some credit as a reader, and have some fun with the reading! I’ve always preferred Shel Silverstein. Me too! His poetry, anyway, I absolutely love. I have a particular disdain for The Giving Tree, however.